What makes No Bull Ranch’s beef and pork superior? It is our commitment to quality. We raise Certified Berkshire hogs and a variety of cattle from birth to market, we dedicated to the welfare of our animals and to the health of the land. Our cattle and pigs are never force-fattened. We never use growth hormones, chemical additives, steroids, animal by-products, pesticides, herbicides, or commercial fertilizers. 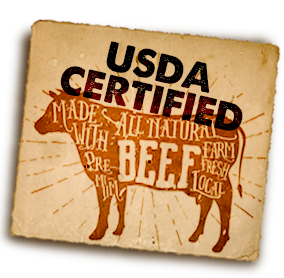 USDA Certified Beef We raise a variety of cattle, including Black Angus and Angus-Herford Cattle. Angus beef is considered by many to be some of the best in the world. Their meat is known for its distinctive “marbling” of fat throughout the meat, that contributes to the meat’s high quality flavor and juicy texture. To ensure that our meat maintains its best flavor, it is carefully processed at a local USDA-certified butcher. It is inspected, aged and custom cut, vacuum packaged, and flash frozen so that it arrives at your table with its maximum freshness. It easily keeps for a year. You have several options to purchase our meats – we sell in bulk quantities, by the cut, and through a monthly membership called a CSA. 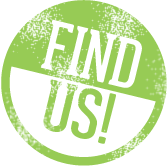 You can find us at several farmers’ markets in the Scranton / Wilkes-Barre region. Contact us for price and availability or stop by one of the markets to see us! We raise Berkshire Hogs. The ultimate in gourmet pork. It is darker than commercial pork, well marbled, with a nice edge of light fat. The meat is naturally very juicy and flavorful, with exceptionally tender texture. The fat content in Berkshire pork makes it suitable for both long, slow cooking and high-temperature cooking. 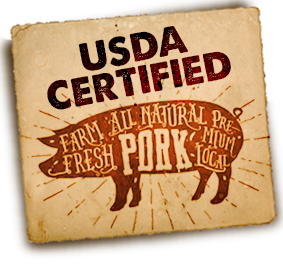 We offer bulk quantities of pork sold by the whole or half. Bulk customers utilize a Pork Order Form, or “cut sheet,” in order to specify the preferred types of butcher cuts, processing, and packaging. Bulk orders require a deposit to reserve. Whole Order Approx. 250 lbs. Half Order Approx. 125 lbs. Final price varies based on hanging weight plus smoking and sausage fees and includes delivery to the butcher, meat, and butchering/packaging fees. Processed orders can be delivered to the customer for an additional fee. To place an order: Contact us to confirm availability. We raise Black Angus and Angus-Herford Cattle. Angus beef is considered by many to be some of the best in the world. Their meat is known for its distinctive “marbling” of fat throughout, which contributes to the meat’s high quality flavor and juicy texture. 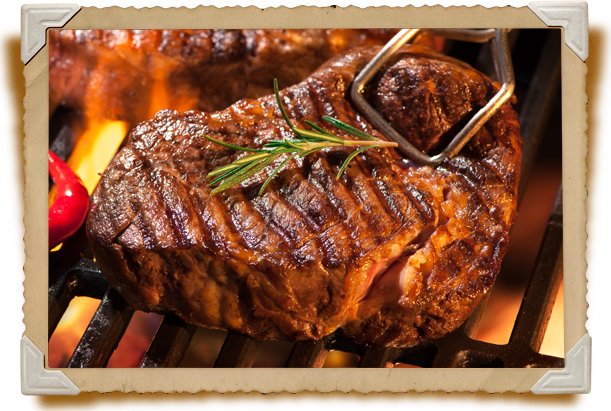 We offer bulk quantities of beef sold by the whole, half, or quarter. 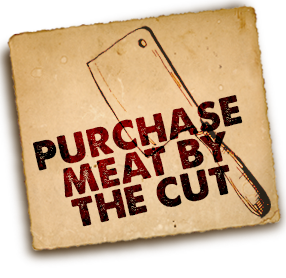 Bulk customers utilize a Beef Order Form, or “cut sheet”, in order to specify the preferred types of butcher cuts, processing, and packaging. Bulk orders require a deposit to reserve. Whole Order Approx. 800 lbs. Half Order Approx. 400 lbs. Quarter Order Approx. 200 lbs. Final price varies on hanging weight and includes delivery to the butcher, meat, and all processing/packaging fees. Processed orders can be delivered to the customer for an additional fee. 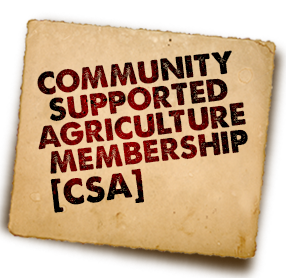 We offer a CSA Membership with shares of Angus beef and/or Berkshire pork. Since our animals are raised all year round, we offer shares throughout the year with two six month cycles. January through June and July through December. CSA shares are offered by the pounds of meat that you receive every month. However, you do not specify the type of cuts. Instead each share is assembled by No Bull Ranch to include a good variety of delicious beef and/or pork. The cuts of meat vary each month, but the share will usually contain approximately 50% of high-end cuts such as steaks, bacon, and chops, and the remaining 50% in a mixture of sausage, hamburger, or stew cuts. CSA shares require a deposit to reserve the order and the balance is due by the first month of the cycle. Shares are of beef, pork, or a combination of both. © 2019 No Bull Ranch, LLC. Website design and development by BlackOut Design.